HT730C Barebone PC system Intel Celeron 1037U industrial Fanless Mini box pc aluminum fanless dual core hongsun living room HTPC Double Gigabit Ethernet, HDMI, 300M WIFI, 4COM RS232 ports, Double USB 3.0 and MSATA 3.0 Mini PC. Aluminum body, double antenna, 300M super strong signal, 30mm ultrathin! Satisfied family, office multiple need! 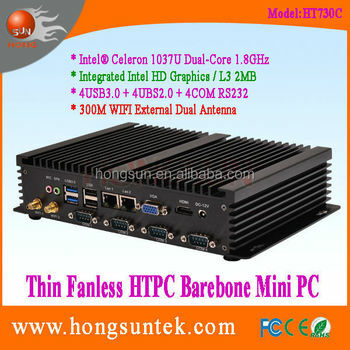 - The onboard HT730C Intel Celeron 1037U 1.8GHz industrial fanless mini box pc (HD Graphics integrated graphics) provide a strong performance.Comprehensive performance is over D2550 performance above 2 to 3 times. - Gigabit Ethernet support Diskless boot!HDMI HD output also support Blue-ray HD 1080P hard soft decode! - 12V external DC power supply, environmental protection,Power wast only 12W to 16W power. - 2xUSB 3.0 ports, 2xUSB2.0 ports, 4xCOM ports,Double Gigabit Ethernet and 300M WiFi card. 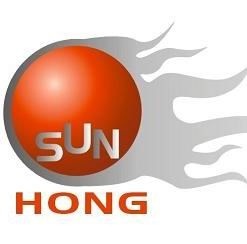 - All solid state, shockproof, anti-shock, long-term stable hongsun operation.